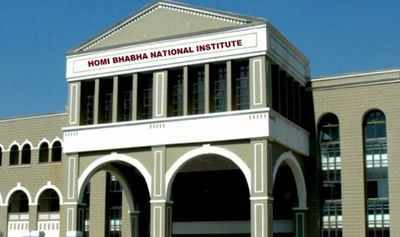 Mumbai-based Homi Bhabha National Institute (HBNI) has been given approval by the HRD ministry to start an off-campus centre at Bhubaneswar in the name of National Institute of Science Education and Research (NISER) with prospective effect. The ministry, in a statement released on Wednesday, said it has issued a notification in this regard on the advice of the University Grants Commission (UGC). The move allows for conduct of academic course or programmes, subject to review of the off-campus centre by the UGC biennially for six years and subsequently after every five years subject to usual terms and conditions as prescribed under the UGC regulations, the statement said. HBNI had submitted a proposal to ministry of human resource development in 2010 for establishment of an off-campus centre at Bhubaneswar in the name of NISER. The proposal was examined by the UGC with the help of an expert’s committee in terms of the provisions of UGC (Institutions Deemed to be Universities) Regulations, 2010 and its amendments.